The Sydney hostage stand-off appears to be over after police stormed the Lindt Chocolat Cafe shortly after 2.00am on Tuesday, local time. After the police moved in, Associated Press reports that one weeping woman was seen being helped out by officers and at least two other people were wheeled out on stretchers. Perth Now reports that three people were believed dead — including gunman Sheik Man Haron Monis — and another three injured after police stormed the Lindt Café were later confirmed. Flashes were seen emanating from the siege site as NSW police moved in on the cafe at around 2.11am. 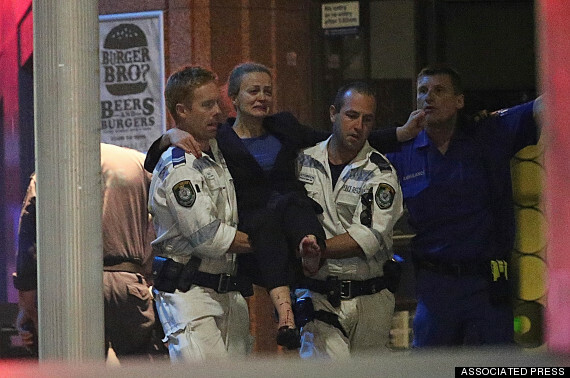 Sydney police have been reticent with details concerning the siege. As Jim Stone has pointed out however, this “reeks to high heaven of a pre programmed CIA drone doing this according to what ever script was washed into his head”. That being the case police will only release information that abides with the script. That was shortly before police stormed the Lindt Cafe but we do know that the prime suspect named by police is Man Haron Monis, a fifty-year-old Iranian refugee. 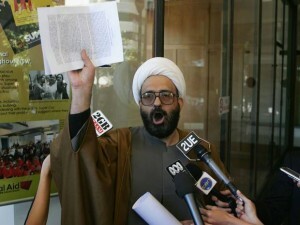 Well-known to the authorities since he was found to have written hate letters to the families of Australian soldiers killed in overseas conflicts, Haron Monis is currently on bail charged with being an accessory to the murder of his ex-wife and mother of his two children. Monis is reportedly also facing more than 40 sexual and indecent assault charges. These relate to time allegedly spent as a self-proclaimed “spiritual healer” who dealt with so-called black magic at a premises in western Sydney, according to the Sydney Morning Herald. In other words Man Haron Monis had the makings of perfect CIA patsy who can be written off of as a maladjusted malcontent without question.